Whilst absorptive capacity has been identified as an important contributor to the effective implementation of IT systems, previous studies have failed to explicitly consider the contribution of individual and organizational knowledge processes. Nine case studies of Enterprise Resource Planning (ERP) implementation were undertaken. The case studies were all undertaken in SMEs in a developing country since this is an important but under researched area for the application of the concept of absorptive capacity. A particular implication of the findings is that firms lacking knowledge of IT implementation cannot simply seek this from external sources but must develop internal organizational knowledge processes if their implementations of IT systems are to be effective. This finding is particularly pertinent to the developing country and SME context of this study, where low levels of experience within the firm and the loss of experienced staff are found to impact on the development of absorptive capacity. The past two decades have seen some of the most turbulent times for the world’s developed and emerging economies. The ability of organizations to survive and prosper in dynamic environments has been linked to their ability to assimilate and apply new knowledge (Grant, 1996; Nonaka & Takeuchi, 1995; Spender, 1996). Many organizations are deploying major IT implementations as part of their response to these turbulent times (Mia & Dutta, 2010). These include enterprise-wide systems, such as Enterprise Resource Planning (ERP) systems, intended to improve both efficiency and effectiveness of operations (Davenport, 2000; Koh, Gunasekaran, & Goodman, 2011). Absorptive capacity has been identified as an important requirement for the effective implementation of such IT systems (Boynton, Zmund, & Jacobs, 1994; Chen & Ching, 2004; Harrington & Guimaraes, 2005). The concept of absorptive capacity considers that a firm’s ability to innovate is based upon its ability to recognise the value of new knowledge and to assimilate and utilise this together with their existing knowledge in order to sustain and develop the organization, (Cohen & Levinthal, 1990; Zahra & George, 2002). 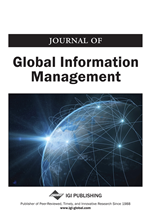 This study synthesises literature from the domains of individual and organizational knowledge and learning, absorptive capacity and IT systems implementation in order to develop a conceptual model. This model is used to frame an empirical investigation in the particular context of ERP adoption by medium-sized firms in India. This study offers two important contributions. Firstly, the study combines a process perspective (Lane, Koka, & Pathak, 2006) and a dynamic capabilities perspective of absorptive capacity (Zahra & George, 2002), providing a fuller understanding of the constituents of absorptive capacity and how they operate and interact. To date, with few exceptions (Lichtenthaler, 2010), studies of absorptive capacity have tended to adopt one or other of these perspectives. Furthermore, previous process based studies have not explicitly recognised or explored distinctions between individual knowledge and organizational knowledge processes, despite these concepts being well accepted as distinct in extant literature in the domain of knowledge and learning (Polanyi, 1967; Nonaka, 1994; Grant, 1996; Alavi & Leidner, 2001). This study is therefore theory building in nature in that it seeks to extend the current theory of absorptive capacity.